Do you remember the last time you navigated a foreign city, maybe in another country? You probably had a map, or someone gave you detailed directions to your destination. You may have looked at the transit or rail website, possibly even booked a vehicle or bought tickets ahead of time. Planning is pretty important when you're travelling, I find, especially with children. The same can be said for biking. Particularly if you're just getting started with riding for transportation, planning your route can make the difference between a great experience & a lackluster one. If you're used to driving, or taking transit, following the same routes with your bike isn't generally a great idea if you want a relaxing ride. I know there are many cyclists out there who will brave the traffic on high speed arterials & highway shoulders, but I'm going to assume if you're visiting a family cycling site like mine you're not one of them. Even if you have been riding this city regularly for a couple of decades, like me, you'll still benefit from a little planning when you ride with your kids. When I plan my routes, I don't just rely on my mental map of the city. 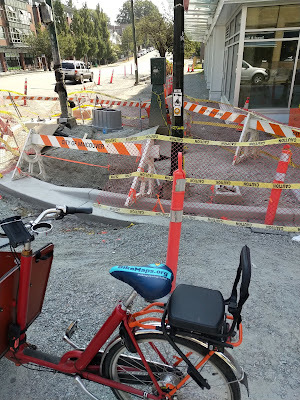 Partly because of all the road work that's happening during the good weather right now, but also because the city has added so many cycling route improvements since I last rode through a given area. My first stop is usually Google Maps. When you open the app or website, find where you can show different layers & choose the Biking one. This will overlay a network of green & brown lines that show you where the bike routes are. The green are paved & the brown are unpaved. Be forewarned, however, that Google just lays down a green line whether it's a neighbourhood bikeway (i.e. a traffic calmed road with no protected lane like Ontario Street), painted lanes, & sometimes protected bike lanes (like Dunsmuir, Hornby, the Seawall, etc). Another caveat--Google can be behind on the new infrastructure in your city, so it will occasionally tell you that you can't ride through places like parks or vehicle diverters, which is why step four below is important. The next step is to input the start & end points of your trip for directions & click on the Bicycle icon to give you cycling route info. Map it. Another option if you're concerned about riding with traffic is to check the PDF or printed bike map for your city. Tranlink has the entire Metro Vancouver area covered, but most municipalities also produce a city bike map (often a paper version that folds into a little pocket sized bundle) with details like where the steep hills are, insets with more information about routing around bridges, etc. These maps will generally also show the different levels of cycling infrastructure, from the all ages & abilities protected bike lanes to the painted lanes, to the sharrows on neighbourhood bikeways. This can help you choose which routes you'll be most comfortable riding. Crowdsourcing information is sometimes the best way to figure out a route. Talk to other parents at your kids' school or daycare, your coworkers or friends who bike for feedback on your route. 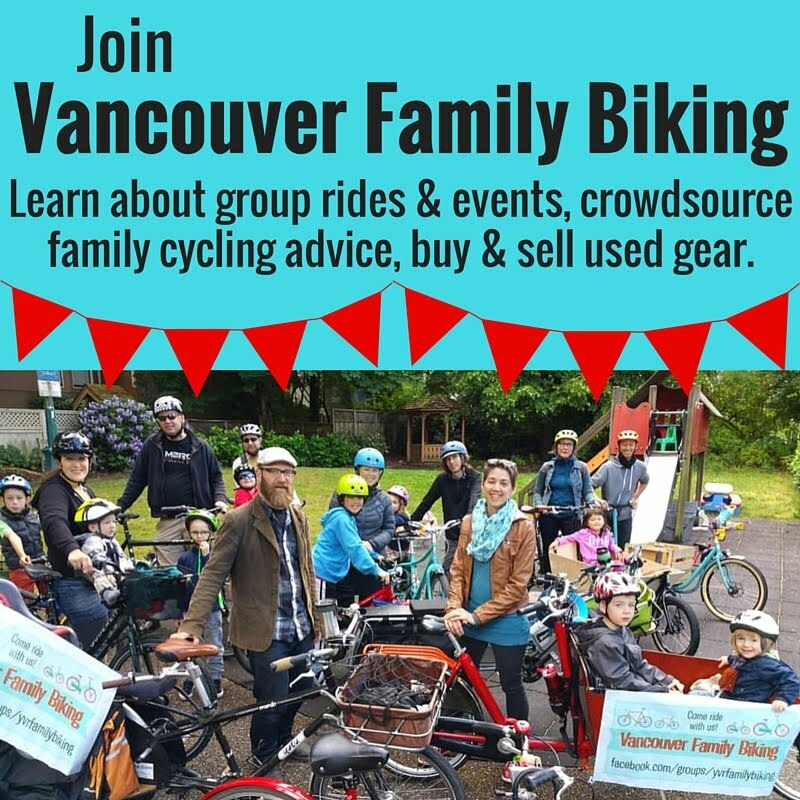 In terms of online sources for advice on biking with children in Vancouver, your best bet is the Vancouver Family Biking Facebook Group. It's a great place to find out where people like riding on with their kids, & why they choose particular routes. 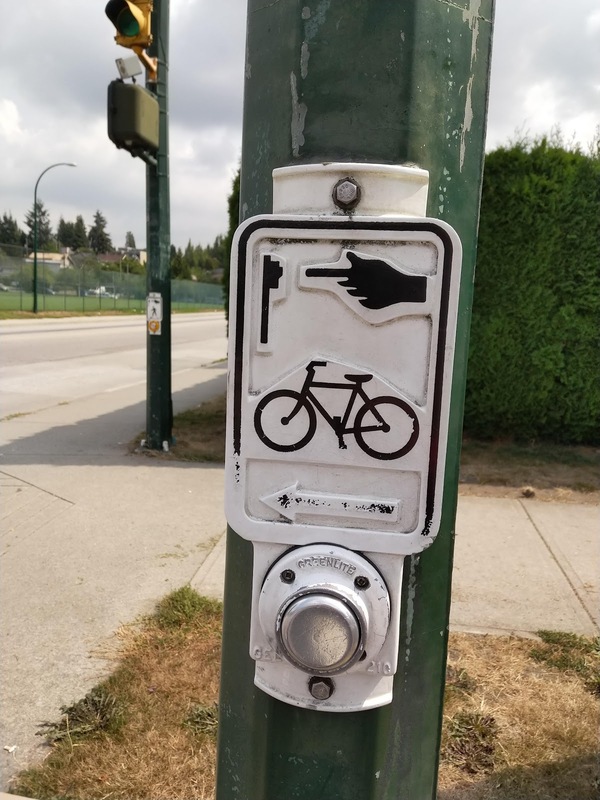 A great example of this is "The Watson Wiggle" which is a route we take all the time, zigzagging from 10th Avenue to 11th, across 12th where there's a beg button, to 15th Ave, then home on the St. George bike route. It avoids crossing Kingsway, which can be a bit dodgy at the best of times, & takes you past quite a few murals to boot! It's not a route that Google would tell you about, but it's a nicer ride & avoids going down & then up some hills. Test ride your route! If you're planning the ride to school &/or work, try a test ride on the weekend to see how the distance & hills feel. For a better sense of what the traffic is like, try your ride around the same time of day as you'll be commuting, if you can. Riding with a friend, coworker or spouse for your dry run might make you feel more confident in future as well. Finding resources you like & doing a little work ahead of time is worth the effort, I promise. One last thing to think about is how fast vs. how fun. If you're like me, & you typically just want to get there as efficiently as possible, you're probably thinking about the most direct route. Until we build A LOT MORE protected bike infrastructure on high streets in this city, the most direct route usualy isn't going to be the most pleasant. Look for a route that minimizes hills & avoids high traffic areas. 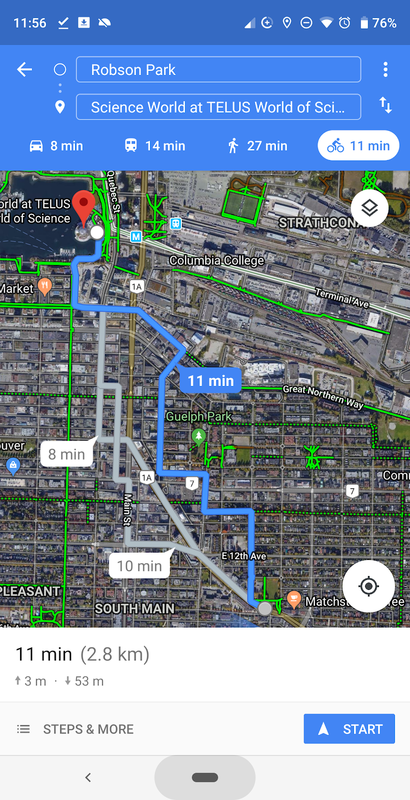 Google will give you a hill profile for your route if you click on the details after getting bike directions--this is super handy for riding with younger children on little single speeds or when you're hauling everyone by heavy cargo bike. Avoiding those hills can mean your route is longer, but much more enjoyable. Have a great ride & see you on the bike routes! & if you have any other route planning tips & tricks to share, whether for Vancouver, or other cities--leave them in the comments below!